Gluten-free soap is in more demand than ever as people search for natural alternatives for their skincare. For most people, shopping for health and beauty products is easy. 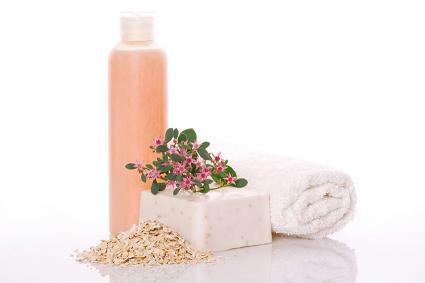 We choose soaps and other cleansers and moisturizers by their scent or appealing packaging. However, for certain individuals, the skincare aisle at their local store is a land mine. They suffer from Celiac Sprue, a disease in which a protein called gluten produces a reaction in the small intestine that causes the body to attack itself. If gluten continues to be ingested or absorbed by a Celiac Sprue patient, it can lead to serious organ damage and other issues such as intestinal cancer and even death. With that being said, having a variety of gluten-free products available is vital to a person living with such a condition. Gluten-free products are the perfect answer for someone looking for a skin care solution without the risk of complications. While such a product used to be difficult to find, awareness of gluten allergies has grown significantly, causing a higher demand and broadening level of availability. Below are a few gluten-free soap brands to try, as well as a list of products and items to avoid. The Gluten-Free Savonnerie is one great spot on the Web to purchase gluten-free soap. Their bar soaps are fragrance-free and specially formulated for those who are gluten intolerant. It is made with a traditional cold-process method, with the glycerin left in, giving your skin the ultimate benefits. They even offer a sampler pack, giving you a chance to try all three of their bar soap varieties. Prefer a liquid version? Check out their 8 and 9 ounce foaming soaps with a special pump bottle perfect for the bathroom, kitchen, or anywhere else you want to keep it! SudzSoaps on Etsy sells gluten-free bar soap. Check the various product descriptions on their home page to find the gluten-free varieties available for purchase. In Frankfort, Michigan, a company called Creation Soap offers gluten-free soap making classes, as well as a clinic to help you get started in your own natural skincare business. While there is great potential in attending such a seminar, it is easy to learn to make your own gluten-free products on your own. You can make up a batch of soap in less than an hour, and can use a variety of methods, choosing one appropriate to your lifestyle and time frame. Try visiting a soap making website for a list of necessary supplies as well as some simple recipes. Perhaps you have just discovered you are living with this illness, or a child or other loved one is suffering from it. You may feel in the dark, as there is still limited information available, however resources are improving. Gluten-free skin care products are also available at many beauty shops, so always ask a sales associate to help you track down items appropriate for your skin type. These items are becoming much more widely available, and you may be surprised where you find them!